What I Blog About When I Blog About Books: 17th Day of Christmas: China Glaze "Mistletoe Kisses"
17th Day of Christmas: China Glaze "Mistletoe Kisses"
Today's Christmas manicure is less loud than the previous ones. It's a single-polish manicure featuring China Glaze's "Mistletoe Kisses." 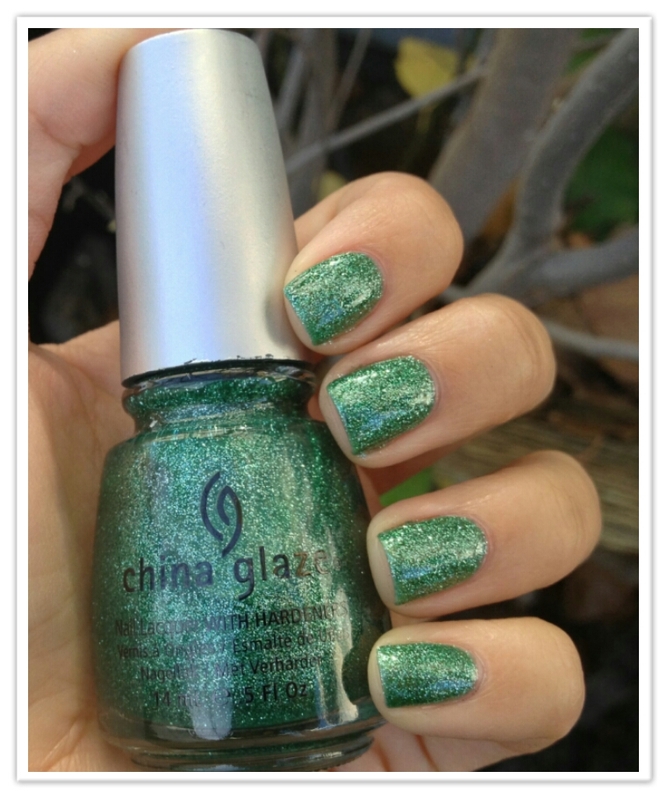 "Mistletoe Kisses" is a green glitter with a silver tint. It's the green version of China Glaze "Mrs. Claus". It's a full glitter polish and takes about 3 coats to be opaque. 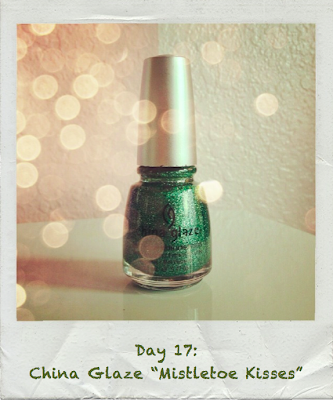 I enjoy this polish, because it is unlike the other green polishes in my holiday collection. Most of them are much deeper. "Mistletoe Kisses" is much lighter.